Six Americans are trapped in Iran and so a joint secret operation by the CIA and the Canadians is launched to get these people back. 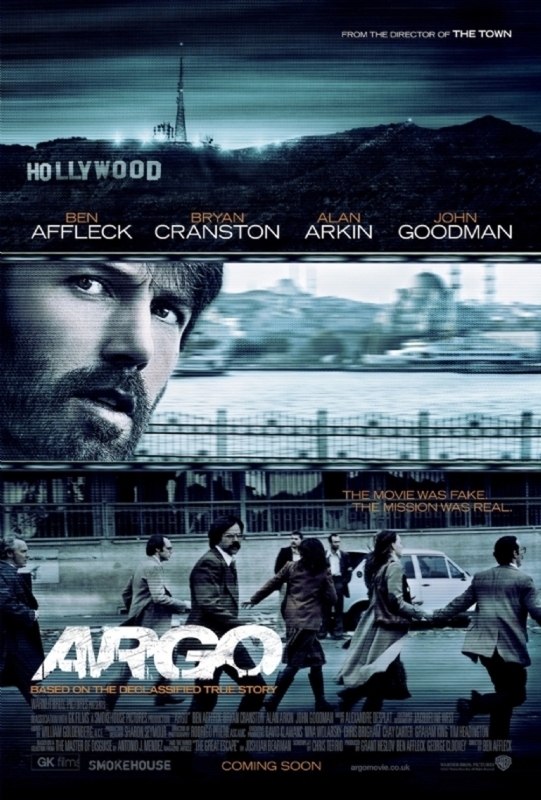 Ben Affleck is Director, Co-producer and main character in this film and has once again done a great job. The film is based around a real event but has been dramatically changed in certain areas to make the film more tense and exciting. Ben Affleck comes across as a totally different actor when he is directing himself and gives a great performance. The whole idea of making a fake film to help with the release of some captives from another country is inspiring and ingenious. Even if this wasn’t based on a true story this would have made a great premise for a film, the real aspect just makes the whole thing more enjoyable. The film was shot on regular film and was intentionally made to look grainy as if it was made in the 70’s, the time the film was set. This is also apparent by the use of the old Warner Bros logo at the start of the film. I was quite surprised at how much i enjoyed this film. The film clocks in at 120 minutes which at first, along with the film being based on real political events, made me doubt the film and that it wouldn’t be something that I would enjoy. However the film flew by and keeps you on the edge of your seat all the way through and John Goodman adds the comic factor to an otherwise serious film along with a witty catchphrase that is used throughout. I would recommend this film to all as an enjoyable drama. Ben Affleck’s first choice to play as Tony Mendez was Brad Pitt, but Pitt had some scheduling issues so he cast himself in the role. 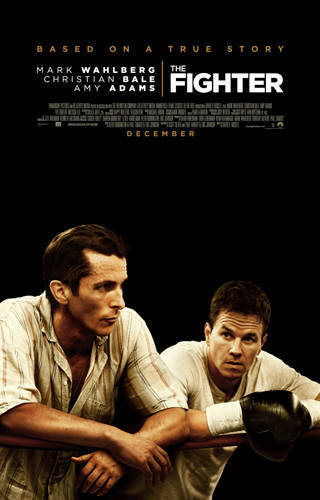 The Fighter is based on the real story of boxer Micky Ward, and his brother and ex-boxer Dicky Ekland, and how he started in the professional boxing scene. The brothers are faced with many challenges which they have to face together and on their own which include dealing with each other, their family, relationships and drug addiction. award, which was very much deserved. The combination of Mark Wahlberg as Micky and Amy as his girlfriend Charlene worked well as they played off of each other. Charlene is the rock that Micky needed during all the problems with his family trying to take control of his life and his brother Dicky’s drug problem and going to jail. Melissa Leo plays the role of Micky and Dicky’s mother Alice Ward. Her performance as a stern and bossy, yet just wanting the best for her children, mother is fantastic. She puts real heart into the role and you really believe her performance. Melissa Leo also picked up an Academy Award for her role, the ‘Best Performance by an Actress in a Supporting Role’, which once again was very much deserved. What makes this film great is the realism that each actor gives to their character, especially Bale, Adams and Leo. What helped achieve this were the real Micky and Dicky, amongst others, helping build the characters before and during filming. Bale spent so much time with the real Dicky as to perfectly match his mannerisms and give the performance of his life. I would recommend this film to everyone. Do not think of this as a boxing film. Take it as a drama based on the real lives of a family and their struggles that are fantastically played out by actors. The film was nominated for 7 Academy Awards – Best Performance by an Actor in a Supporting Role, Best Performance by an Actress in a Supporting Role, Best Achievement in Directing, Best Achievement in Film Editing, Best Motion Picture of the Year, Best Performance by an Actress in a Supporting Role and Best Writing, Original Screenplay – Winning 2 of them.